This year The Big Indie Pitch has headed to a variety of brand new locations in order to shine a light on even more undiscovered talent. So when the chance came to head to Skovde in the Swedish countryside to host The Big Indie Pitch at Sweden Game Arena 18, we jumped at the chance. The pitch itself saw a variety of developers battle it out to be crowned the winner, a title that was ultimately awarded to Legacy 3 - The Hidden Relic. A puzzle game set within a newly discovered Egyptian Pyriamid during the 1920s. Of course, Legacy 3 as you already know was the winner, but we always award prizes for the top three. So read on to not only find out more about Legacy 3, but also our second and third place prize winners too. Set within 1920s Egypt, Legacy 3 puts you into the shoes of an archeologist who has just discovered an ancient pyramid. 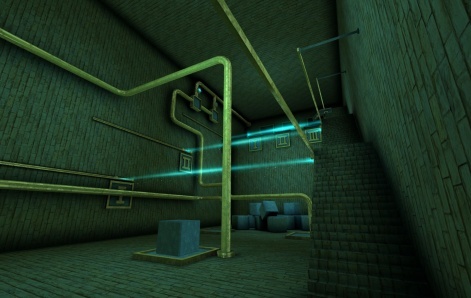 A pyramid filled with a variety of puzzles spread across 30 rooms, all requiring patience, problem solving, and a little bit of ingenuity to solve. That's not all though, as through solving these puzzles and moving through the pyramid's many rooms, players will ultimately learn the story and the secrets of this long lost Egyptian construction. Shuhari Puzzle is a puzzle game with a very simple and universally understood gamplay mechanic. Namely it's based entrely on the principle of Rock Paper Scissors. Within this players must tap Rocko the rock, Peep the paper, and Scizza the scissors in order to correctly take over the symbol next to them in a chain, and ultimately make all of the symbols on the screen match each other. All in all, it's a simple yet extraordinarily deep puzzle game, one perfect for mobile and more than deserving of the runner up prize. Engineer Millionaire is a tycoon idle game, on in which you are tasked with creating your own engineering masterpieces in order to collect even more money. The game starts from the invention of a money-making machine, which then expands into a whole factory, one with clockwork drones and even the potential to launch expeditions to ethereal dimensions. Your mind really is the only limit to how rich you can become here. 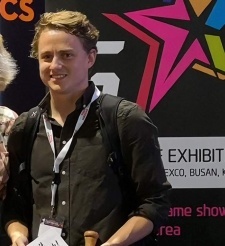 GDC 2019: FoxNext Games picks up Big Indie Pitch winner What The Golf?